Projects listed here are projects that have multiple volumes or parts. There are hundreds of countries, millions of cities, billions of people and dozens hundreds of languages... It's been said that reading is the gateway to traveling with your imagination, so lets help our mental passports a bit, shall we? Will be limited to one story per location per volume. With 200-ish countries, micro states and independent islands, you should be okay. Aiming for four volumes, although story length may dictate otherwise. Be creative! You can take your characters anywhere in the world, but you must stay on Earth! Thank outside the box! Keep a map handy - It helps to know Brazil does not border Chile, or that Route 66 doesn't hit Nevada. Details make the story... or break it. Don't use cell phones in the middle of the Sahara or expect Canadian locals to be fluent in Portugese. Above all, these are stories of travel and adventure (have I said that yet? lol!) - you, your characters, and most importantly the readers should all get to have fun with this! Projected Publication Date: Because this anthology is being published in multiple volumes, I will say that I hope to have the series done by 2017. This is probably not the cover, but it's still a cool image. I'm planning a fat book of little stories - perfect to keep in a backpack, on the back of the toilet, in the living room so you can read during commercials, whatever makes you happy. Stories must be between 100 and 250 words. This will be strictly enforced. You may submit up to 10 stories for this anthology. Please put each story in a separate submission. Also, for this anthology *ONLY* we will consider artwork that can be easily reproduced in a black and white format. Must look good shrunk down as small as 3.5 x 5" in size. same submission limits and bio guidelines as listed above. 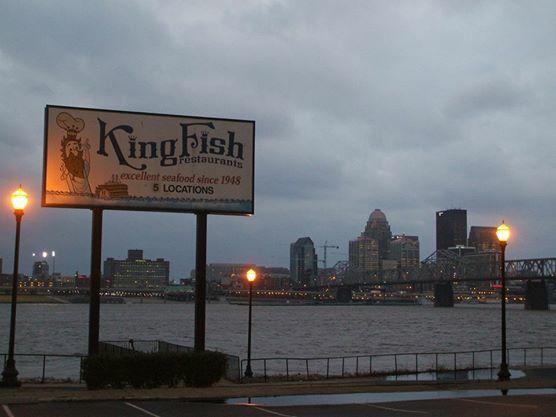 King Fish. Can you write 1000-ish words about this image? You know the old saying; a picture is worth 1000 words. For this anthology, I encourage you to put the saying to the test. Because I'm not a total sadist, submissions can be between 900 and 1100 words, but must relate in some way to the provided photograph. If I can't figure out the connection, I can't accept the story. I'm sorry. The anthology will close after 20k+ words. This is a for the love publication.